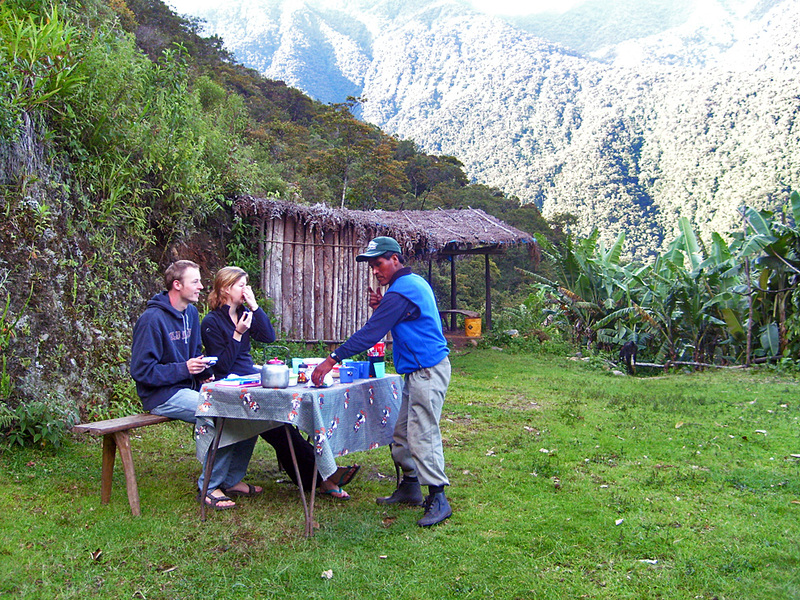 "A Cordillera Real Traverse through its extremes: From glaciated mountains to cloud forest. 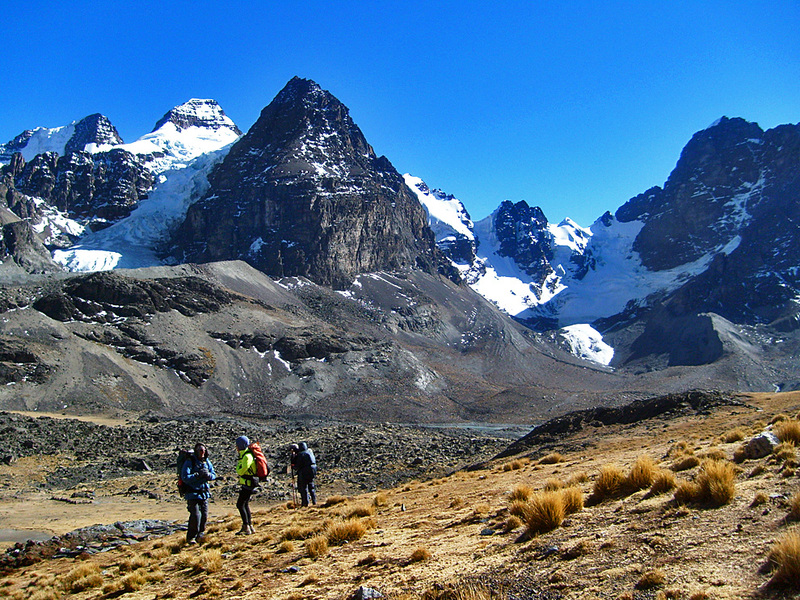 An amazing blend of trekking adventure, wildlife viewing and insights into the Tiwanakan and Incan Cultures"
You will pass near huge high-mountain glaciers before dropping down past temperate meadows to the humid subtropical forest called the 'Cloud forest'. 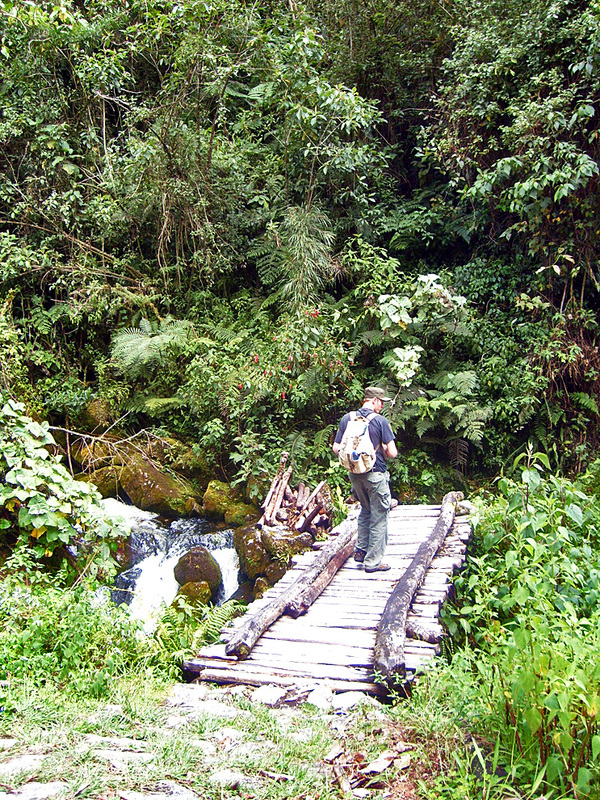 Passing through pristine forest you will be constantly discovering a great biodiversity. 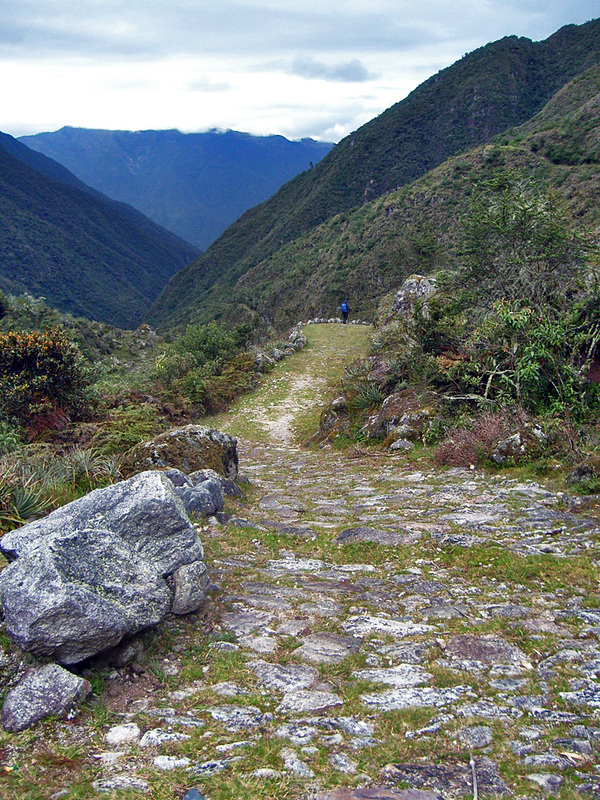 An ancient Inca trail will facilitate our descent to the 'Cloud forest'. The huge contrasts give this trek a great deal of character. There are 7 passes to cross almost one every day of the trek. 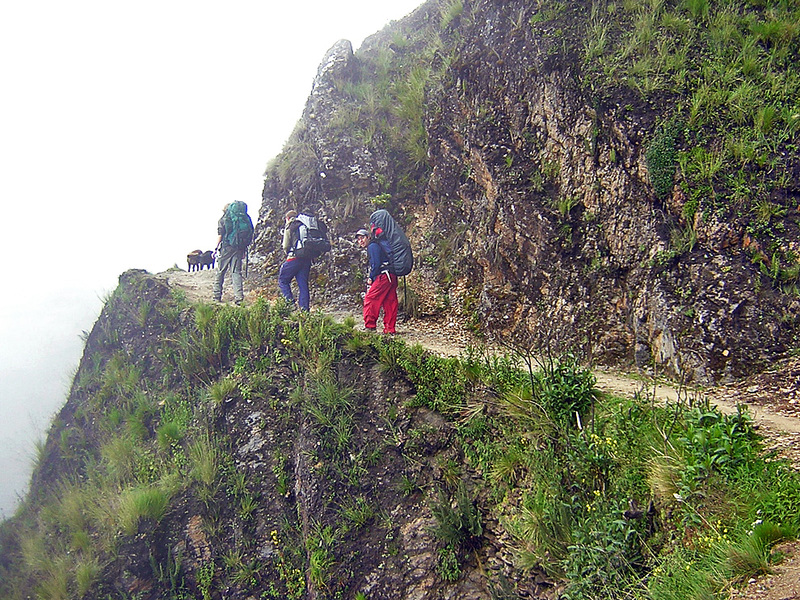 This is an established trekking route, and you will be following a good trail throughout. 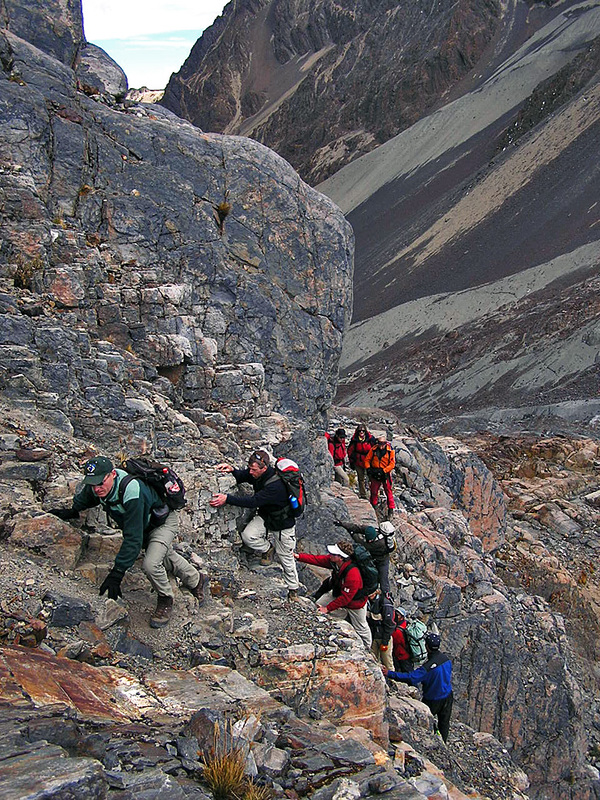 We range from rocky passes and scree, to Inca stone steps and grassy tracks. 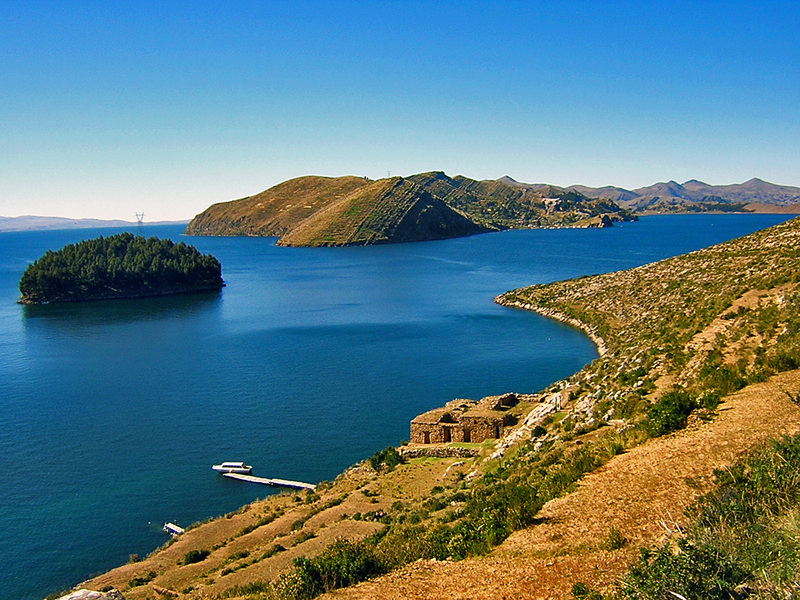 Before setting off on the trek, we will acclimatize beside the fabulous Lake Titikaka and hike on Sun Island. DAY 1: ARRIVE LA PAZ. Reception and transfer to the hotel. DAY 2: CITY TOUR. Half day to discover the town of La Paz and its Indian markets, museums and viewpoints. Hike in the eroded landscape of the Moon Valley. DAY 3: DRIVE TO COPACABANA CITY & LAKE TITIKAKA. A series of cultural highlights to visit en route. Superb views of Cordillera Real. By boat we will get to the Sun Island where we will experience the unique traditions and folklore that exist there. Lodge. DAY 4: HIKE ON SUN ISLAND. Archaeological remains and typical hamlets. Return to Copacabana. Hotel. DAY 5: DISCOVER COPACABANA & TO WAÑAKOTA LAGOON. Walk through indigenous markets, streets and viewpoints. Car transfer. 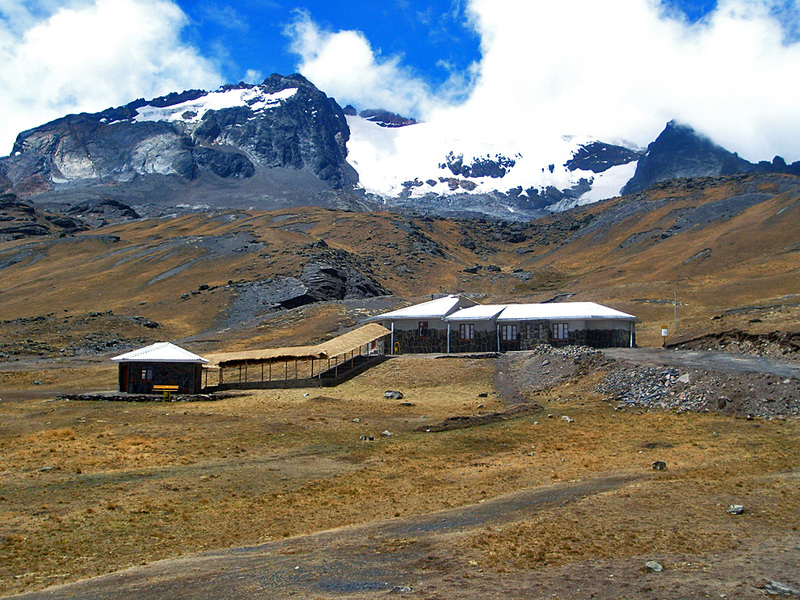 Refuge in a spot surrounded by snowy peaks in the Condoriri National Park. DAY 6: TO JURIKOTA. Trek and camp. DAY 7: TO CHIARKOTA. Trek and camp. DAY 8: TO ESPERANZA. Trek and camp. DAY 9: TO MILLUNI. Trek and camp. DAY 10: TO PAMPALARAMA. Trek and lodge. DAY 11: TO CHUCURA. Hike down to alpine meadows. Trek and camp. DAY 12: TO BELLA VISTA. 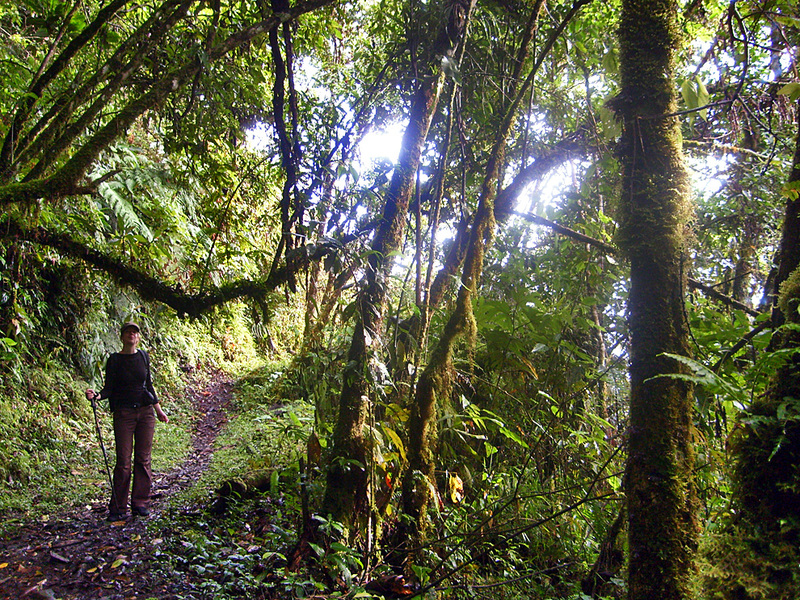 Hike down to the 'Cloud forest'. Trek and camp. DAY 13: TO SANDILLANI. Trek and lodge. 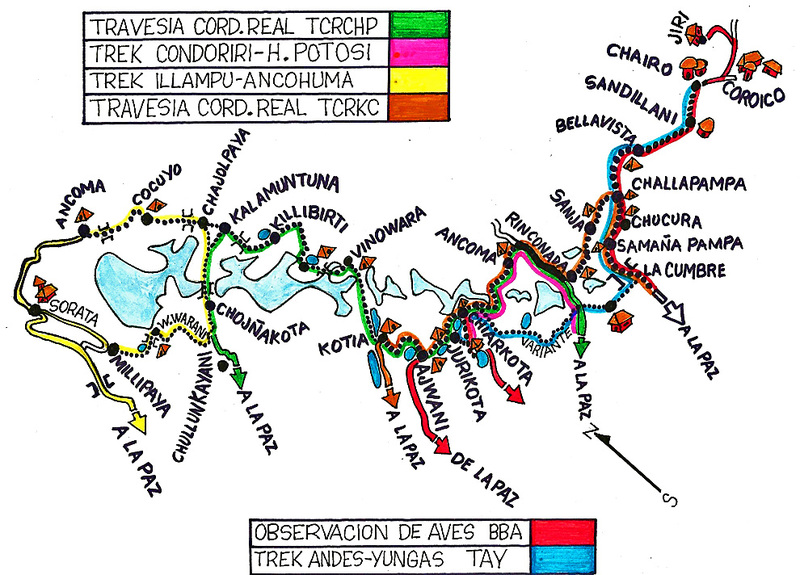 DAY 14: TO CHAIRO & RETURN TO LA PAZ. Humid forest. Trek and car transfer to La Paz. 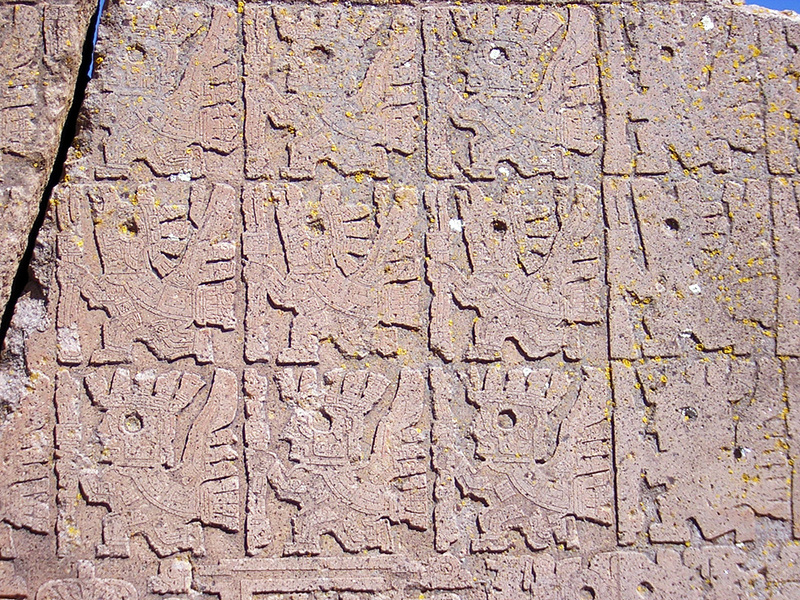 DAY 15: TIWANAKU. Half day tour to visit Pre-Inca temples and palaces. DAY 16: DEPART LA PAZ. Transfer to the airport. End of our package service. BRING: anorak, sleeping bag, warm gloves, polar Jacket, thermal underwear, sun glasses, head torch, sun block, sun hat, mosquito repellent, binoculars.